Oceanvolt offers a range of sail drive motors to provide propulsion and hydro generation for vessels ranging from 15 to 80 feet. Synchronous permanent magnet electric motor. Sail Drive with 1.93:1 reduction. Lightweight: weighs as little as 42.5kg (motor & sail drive). EMC certified closed circulation liquid cooling providing both cooling and lubrication. Functions as a hydro generator to generate power while under sail. 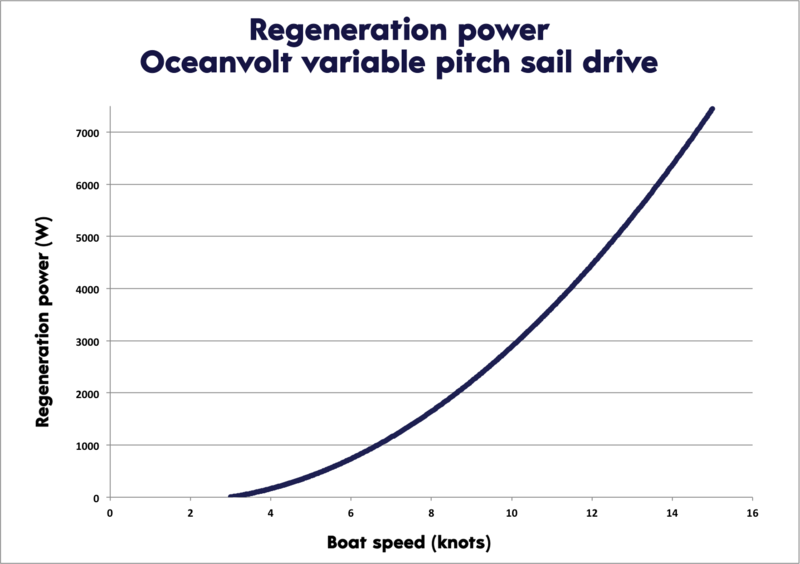 The patented Oceanvolt ServoProp variable pitch sail drive combines a high efficiency sail drive with the most powerful hydro generator on the market. The unique feature of the ServoProp is the possibility to turn the propeller blades more than 180 degrees. 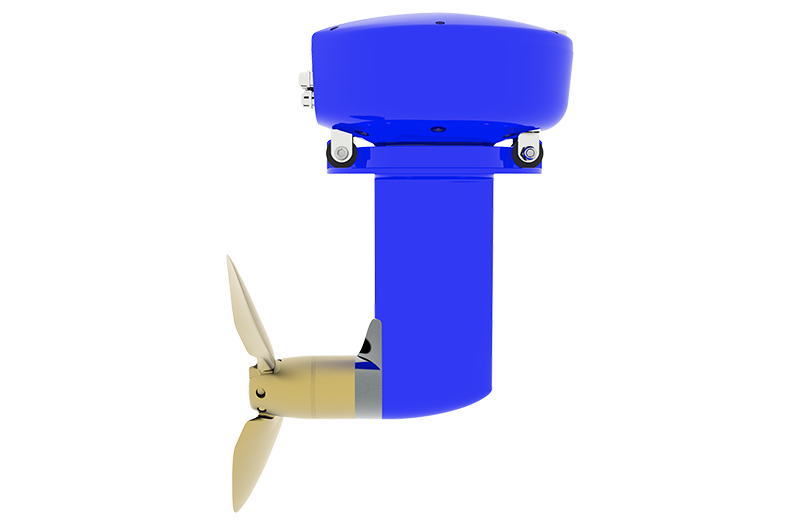 The software controlled variable pitch sail drive adjusts the pitch of the propeller blades automatically so that the power generation and power output are optimal. Combined with uniquely designed blades it delivers optimal efficiency in both forward, reverse and hydro generation. And with the blades set to the neutral sailing position, the propeller creates extremely low drag similar to the drag of a feathering propeller. The benefits of ServoProp include an estimated +30% increase in forward propulsion, +100% in reverse and +300% increase in hydro generation effect. A normal fixed propeller (that by nature does not have the blades ideally shaped for regeneration) generates less than half the power of ServoProp at a given boat speed. ServoProp is capable of generating more than 1 kW at 6-8 knots. The power generated can be used to power both the propulsion system as well as all the electronics on board without the need to have a separate generator. With this in mind we can definitely start talking about the possibility of a totally self-sufficient cruiser! The ServoProp is suitable as a propulsion motor for monohulls up to 50 ft & multihulls up to 60 ft. It can also be used as a hydro generator in boats up to 100 ft.